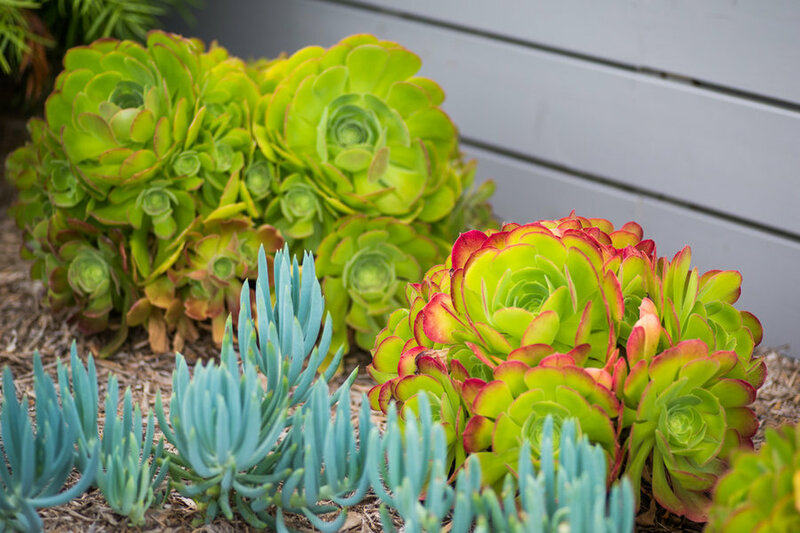 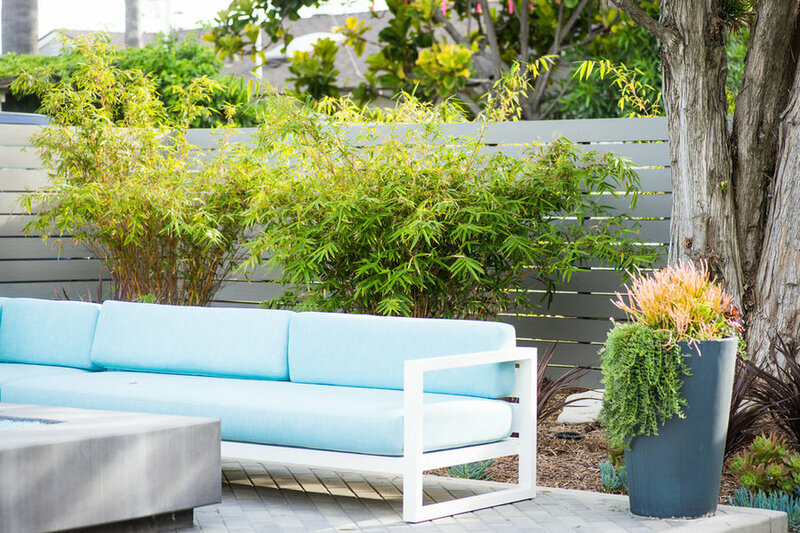 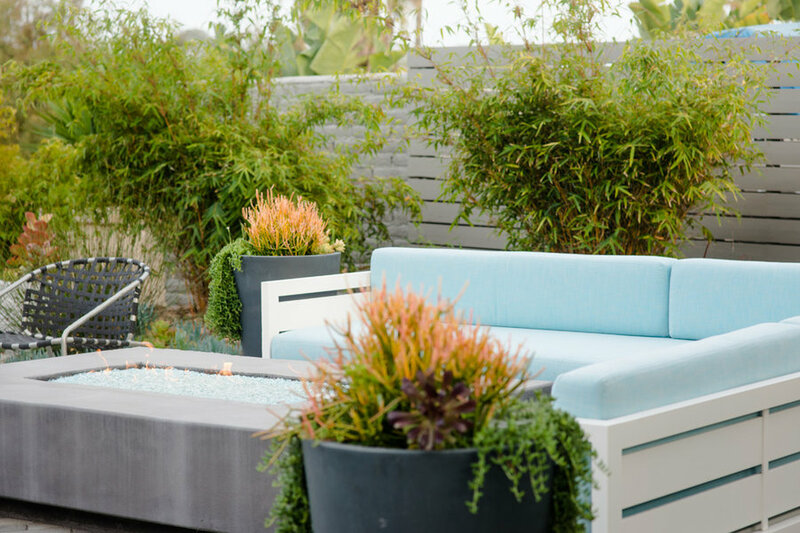 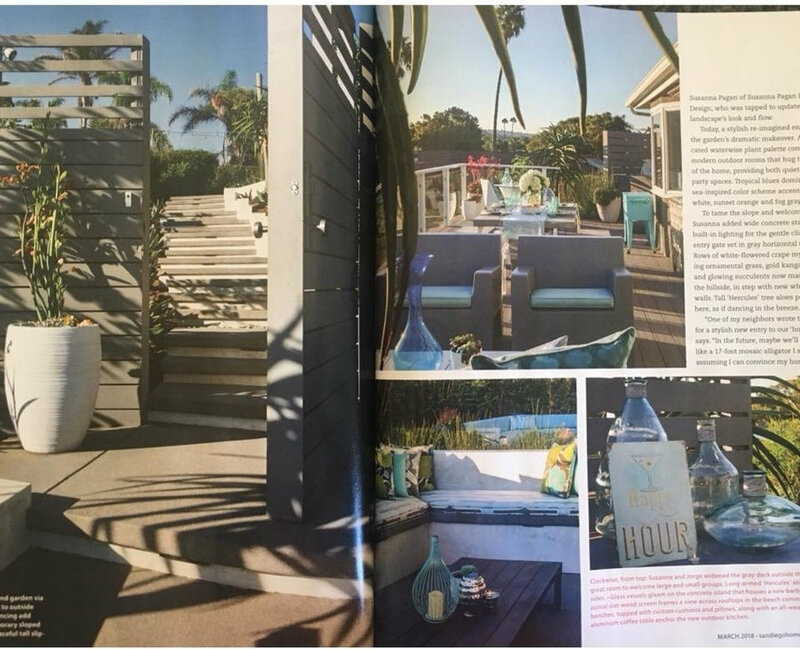 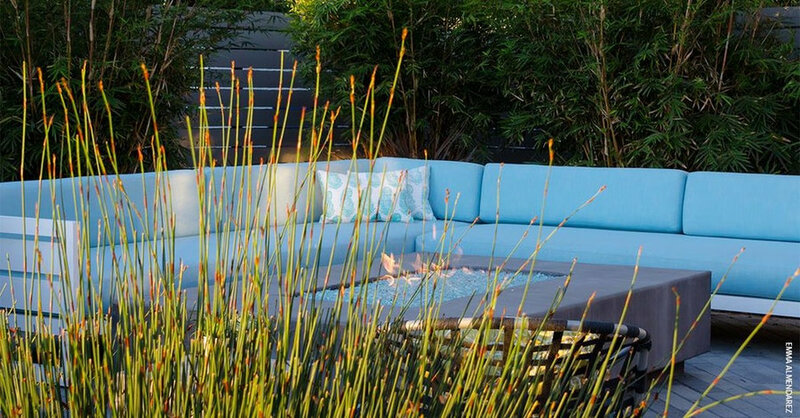 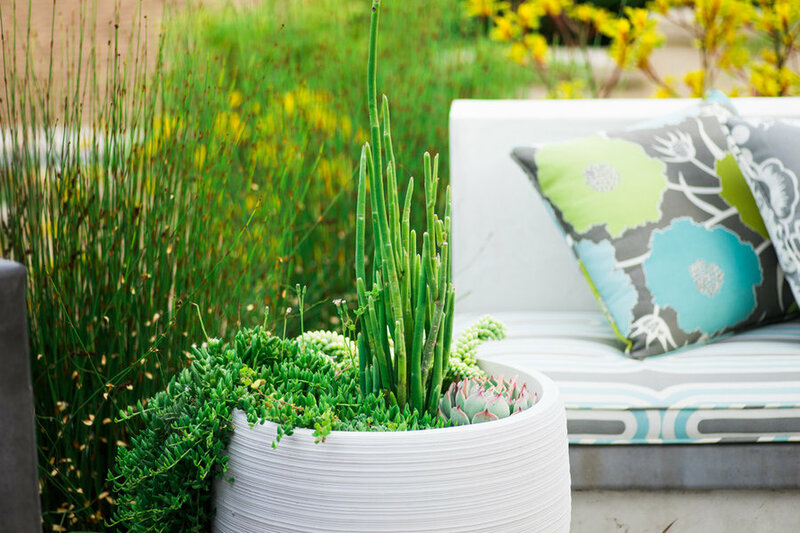 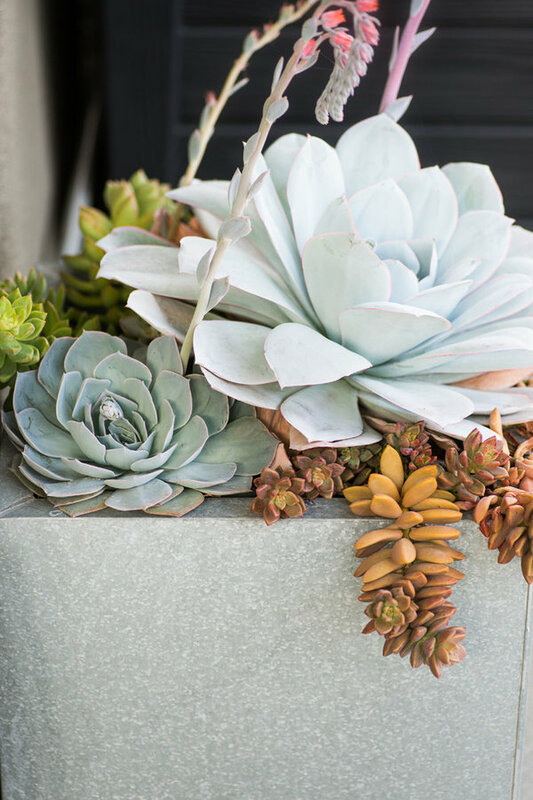 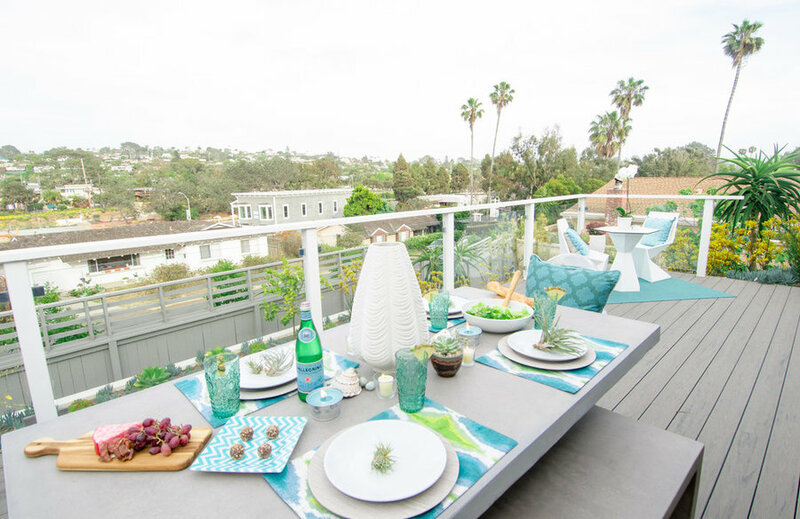 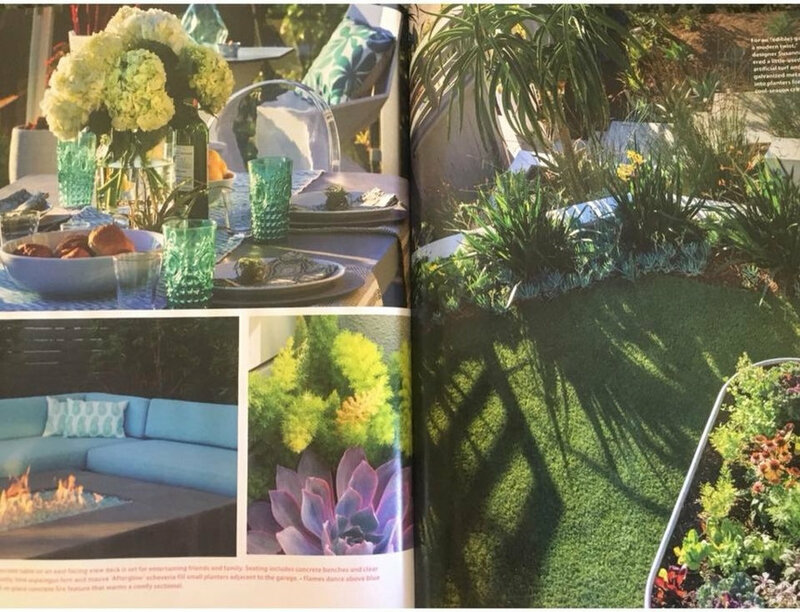 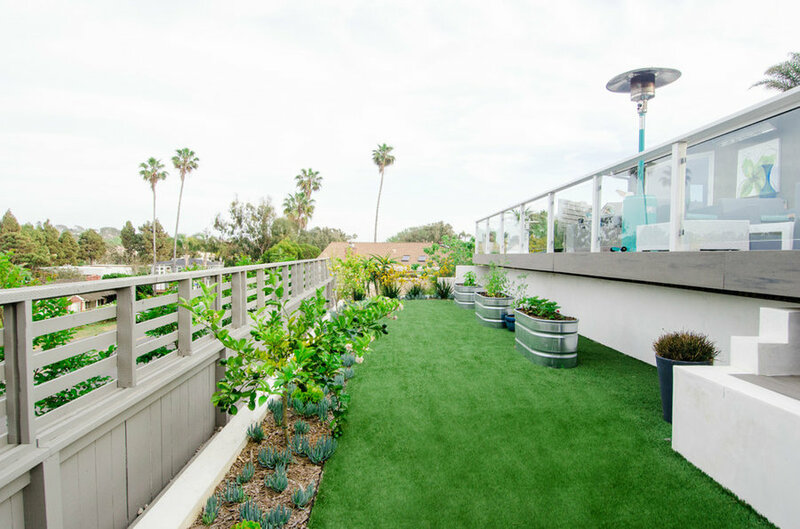 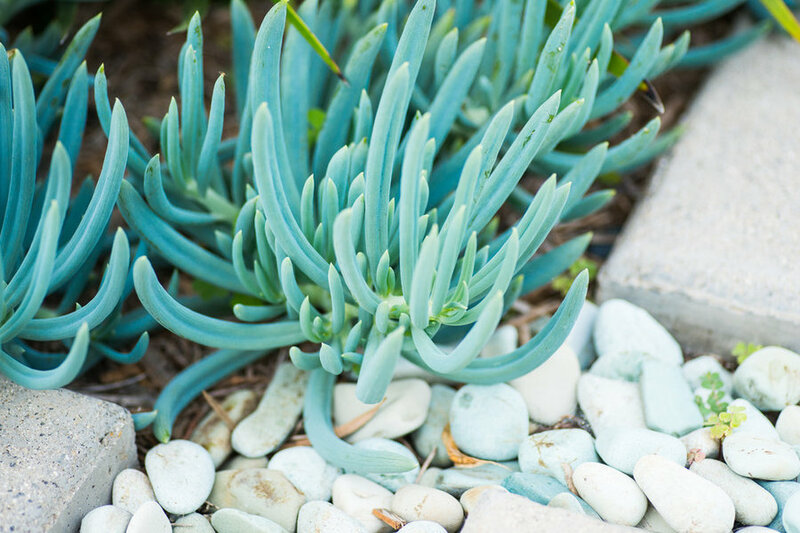 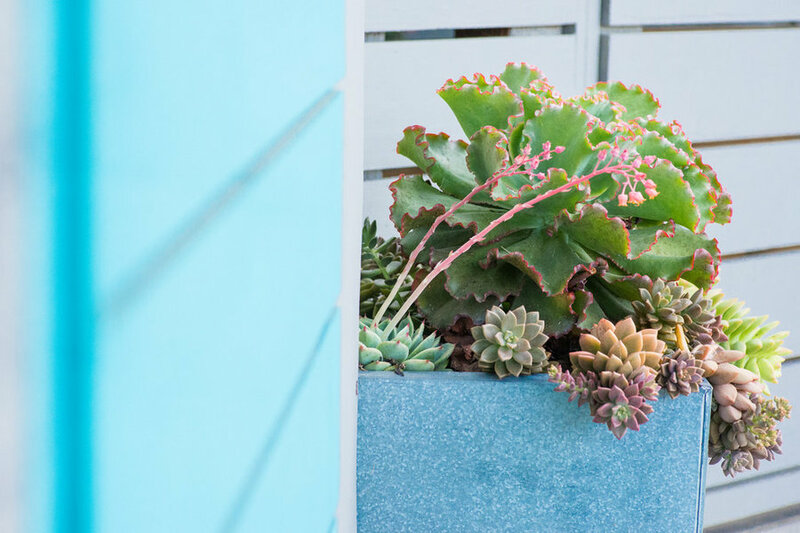 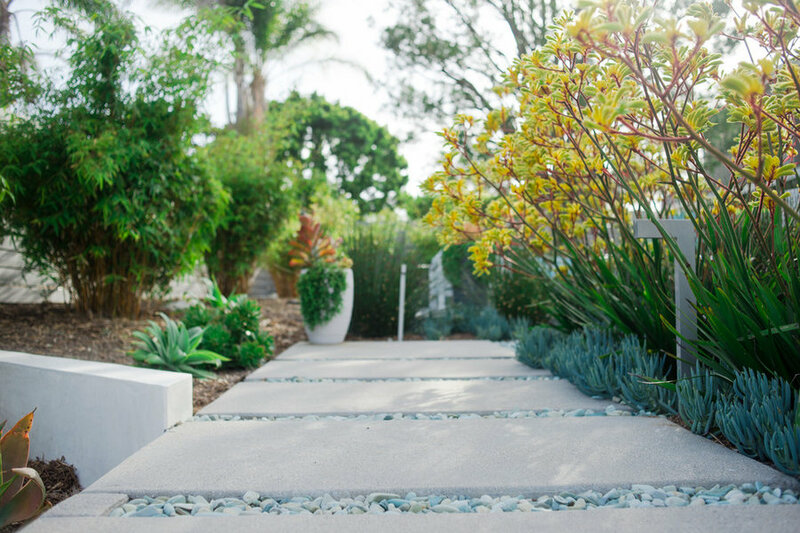 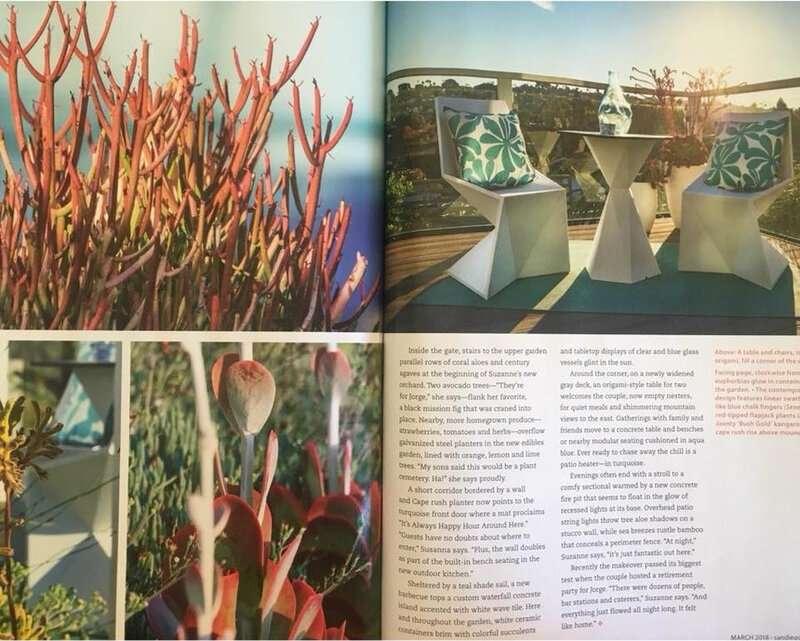 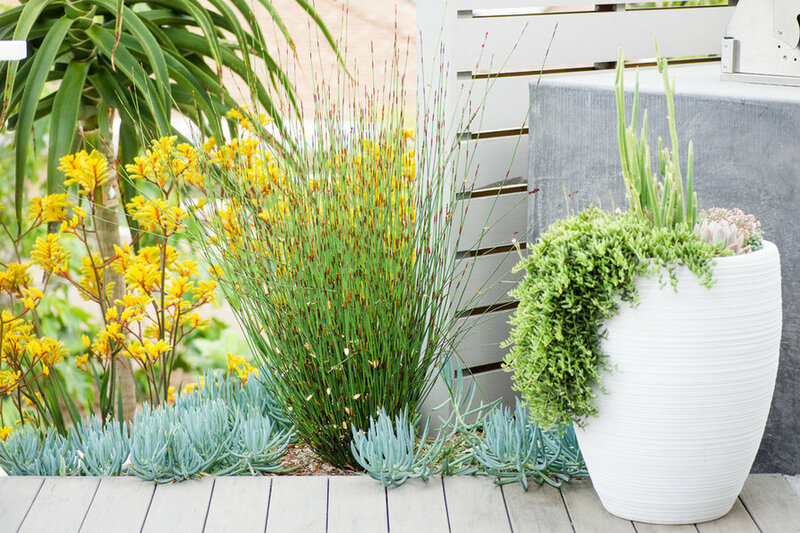 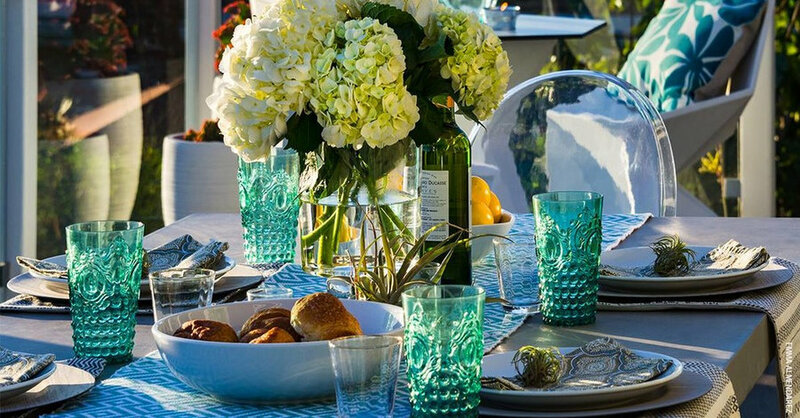 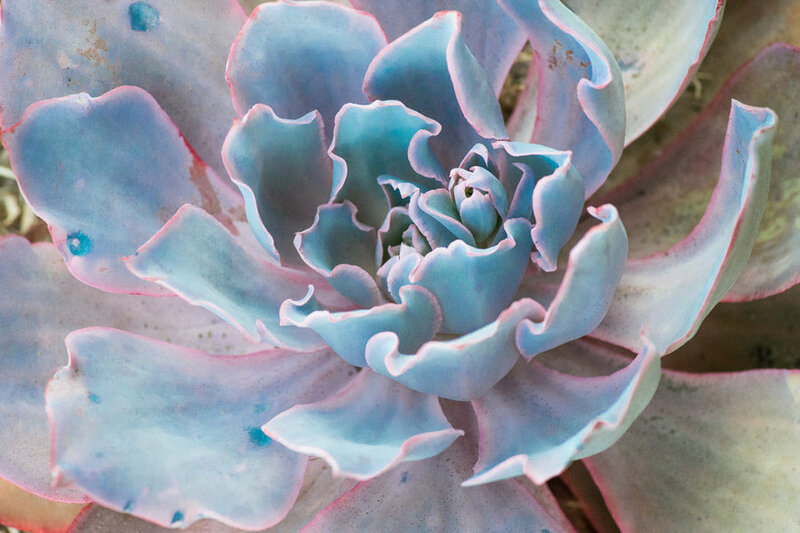 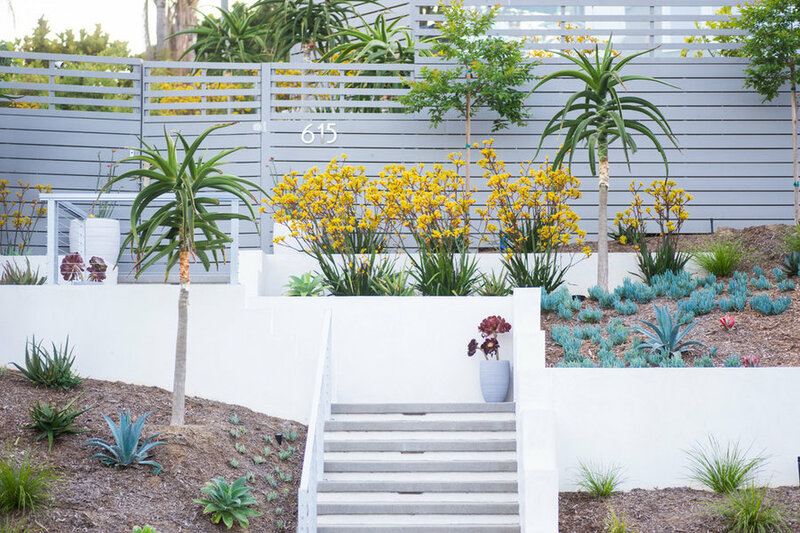 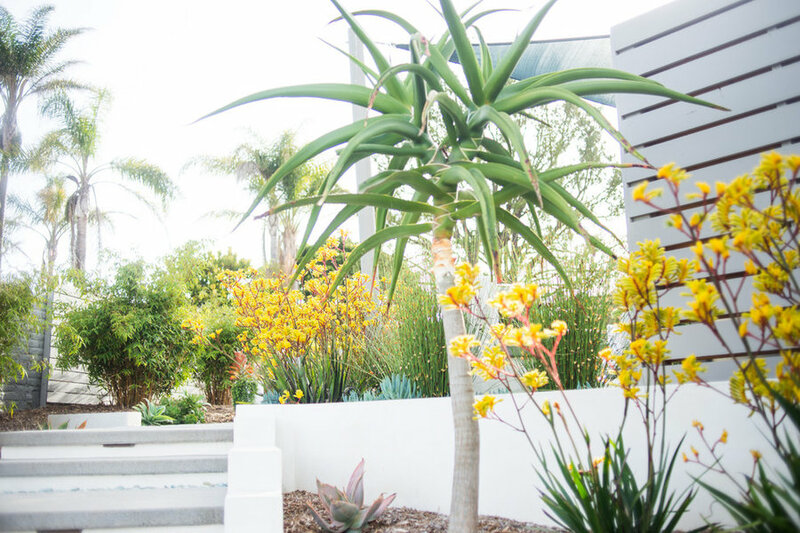 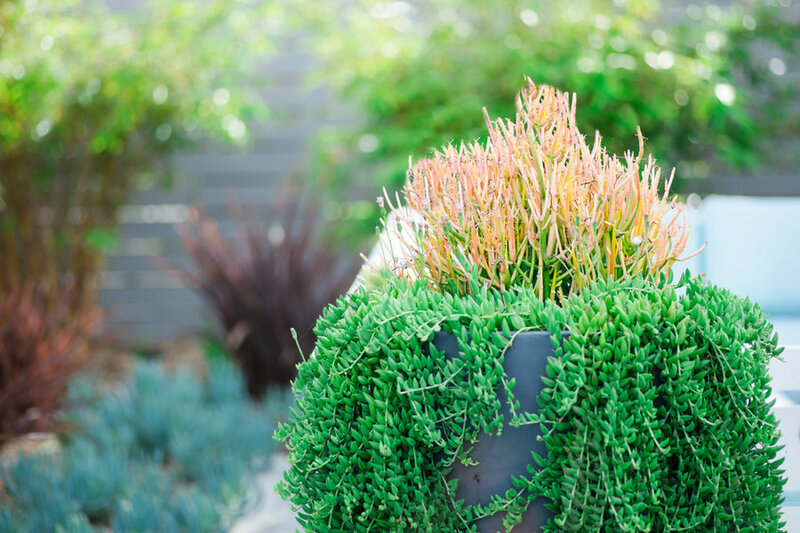 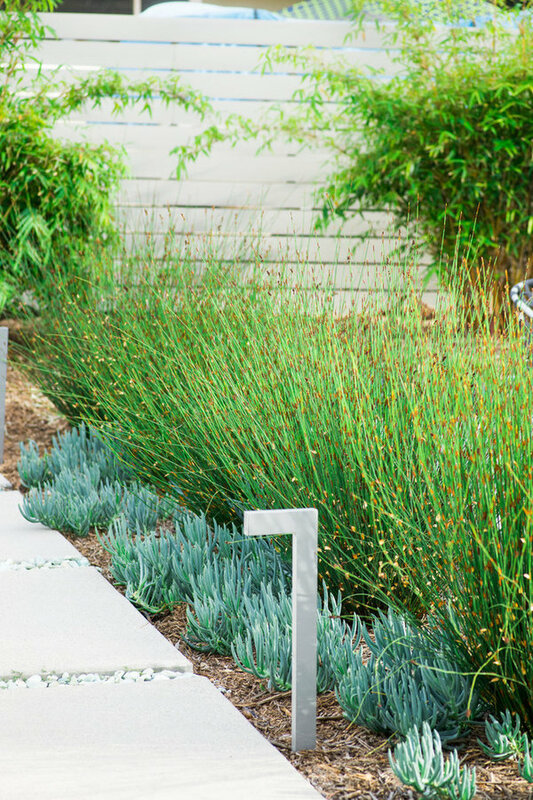 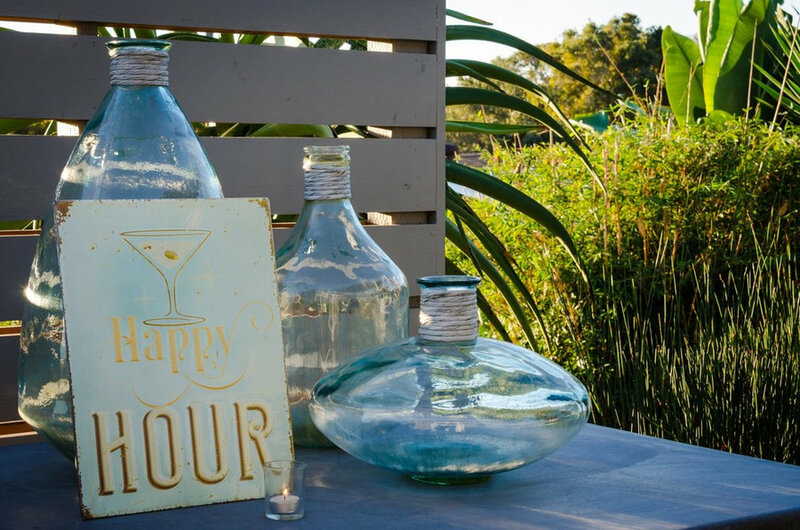 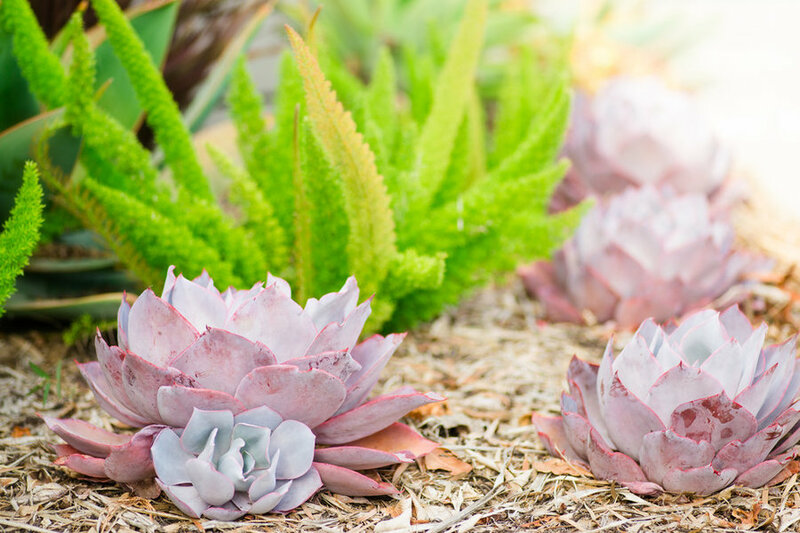 Featured in the March 2018 issue of San Diego Home/garden Magazine After my clients purchased their coastal home in Solana Beach, the garden needed an update! 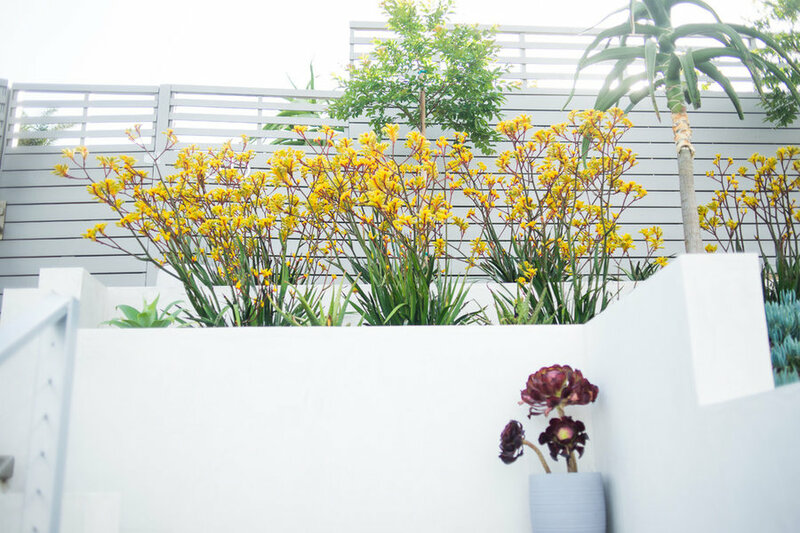 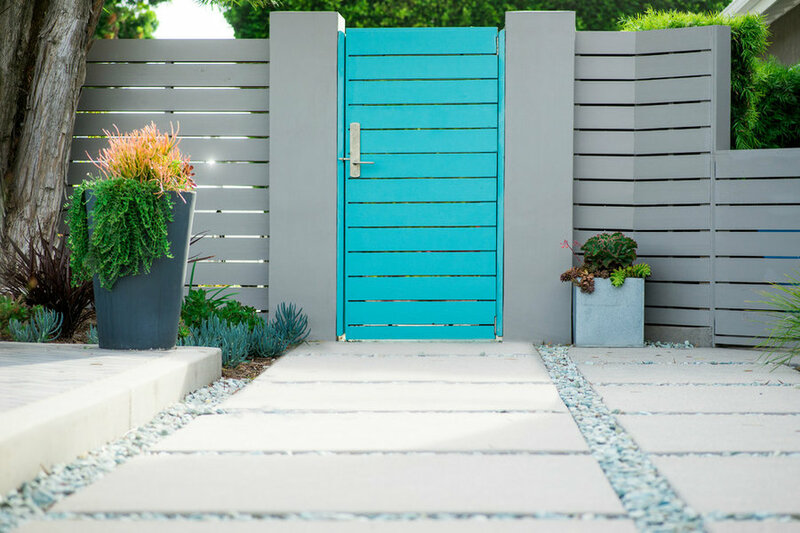 They desired a garden that matched their modern vibrant style and had several challenges to overcome in regards to clear navigation through the space. 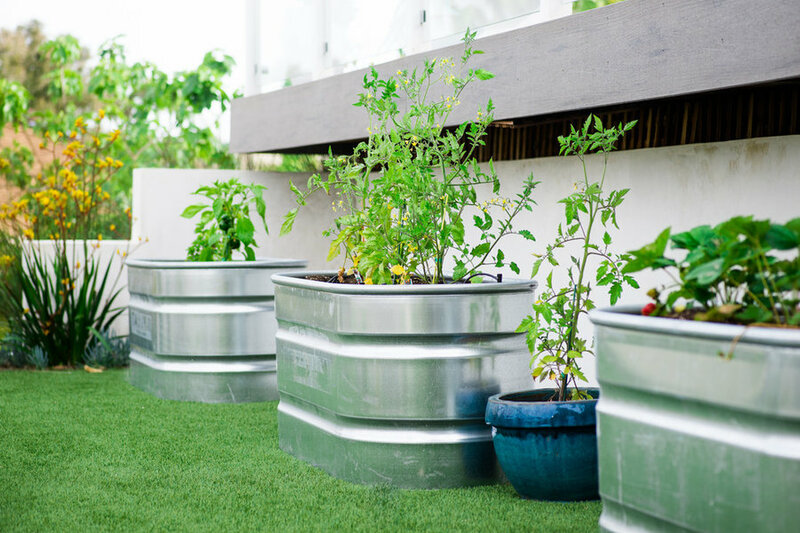 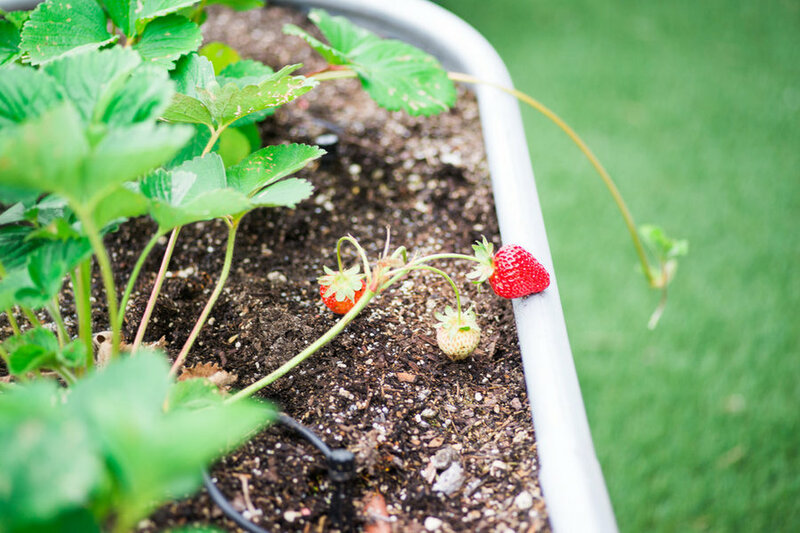 The garden did not have a consistent theme or use of consistent materials. 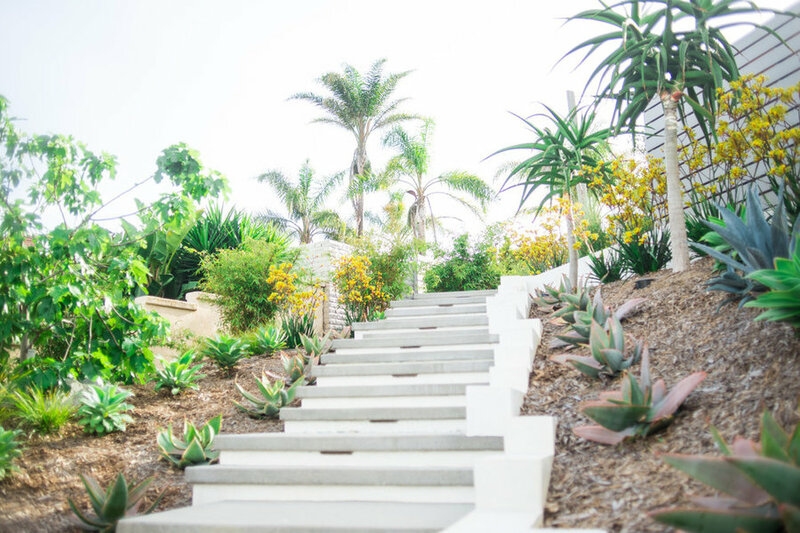 New pathways, steps and walls were added to improve navigating the garden. 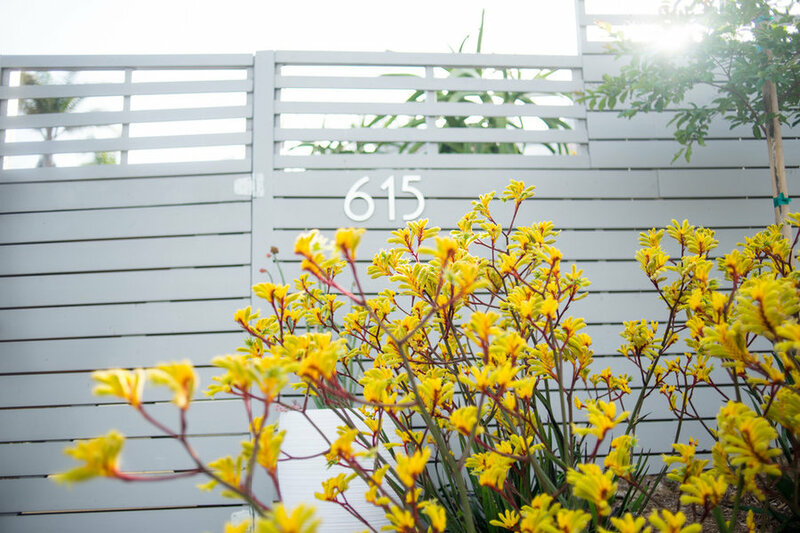 A color scheme was created using white, gray, blue, yellow, and orange as the primary colors. 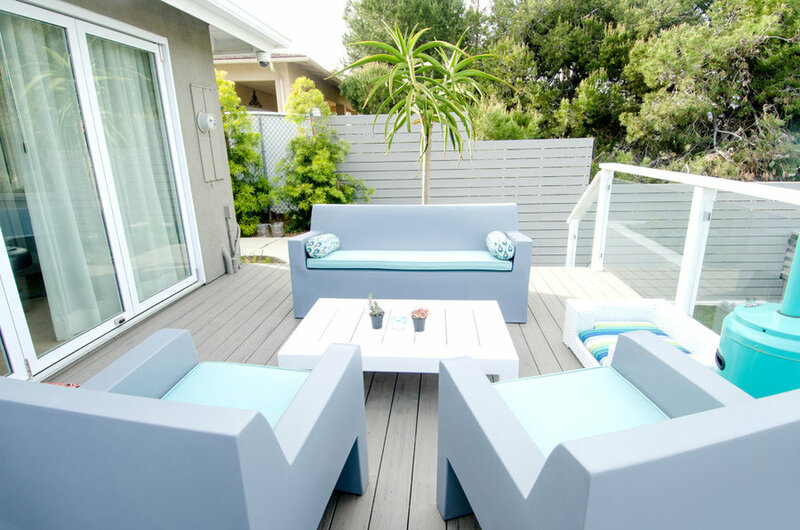 The recently installed deck, utilized whites and grays, played a part in driving the color scheme. 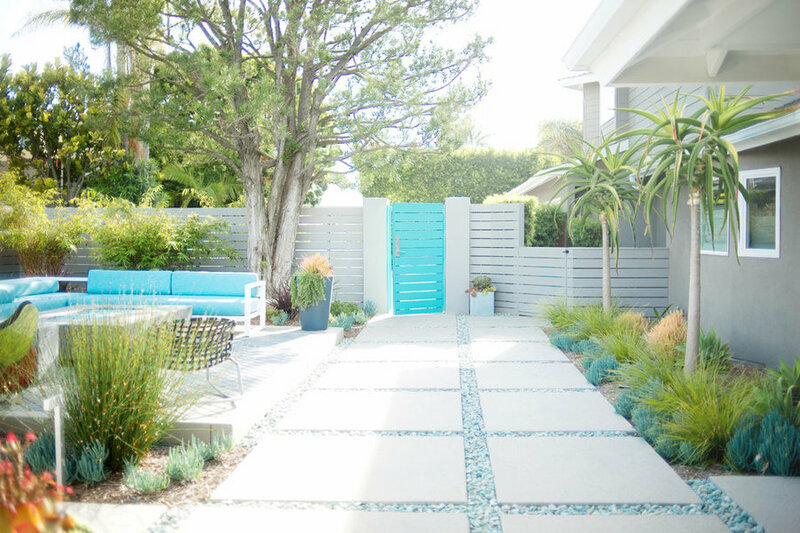 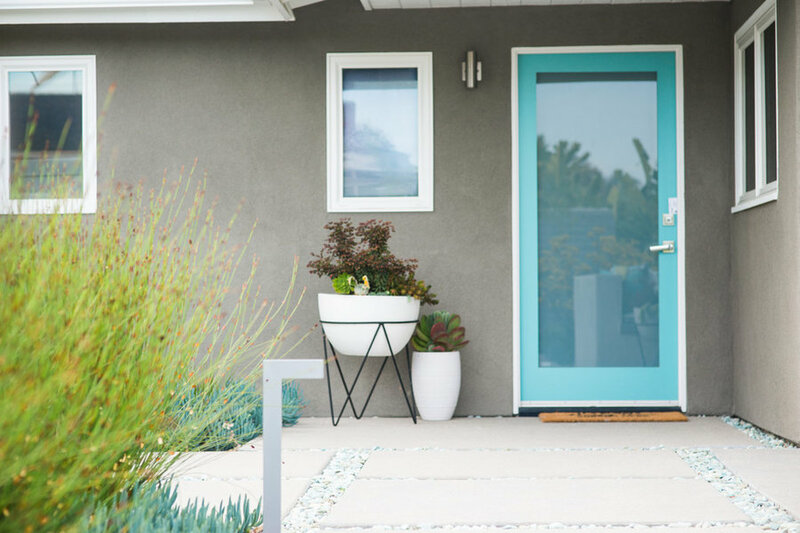 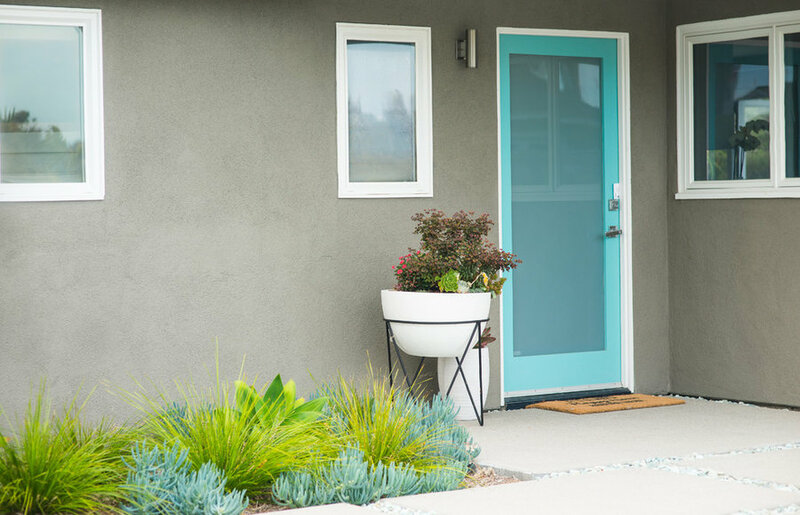 White walls, blue gates, blue pebble, fire-side furniture using blue cushions, white and gray pottery, are just a few of the items used to tie the spaces together. 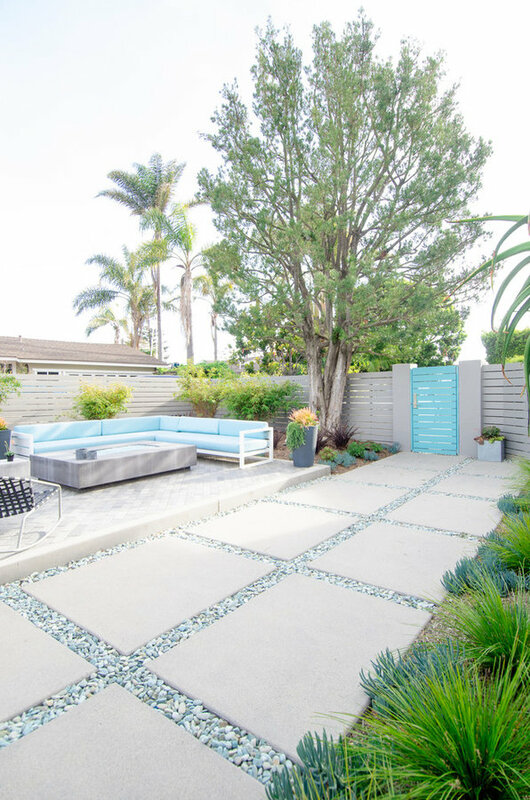 A modular plank paver in dark and light gray, created a beautiful tapestry in the fire-side area. 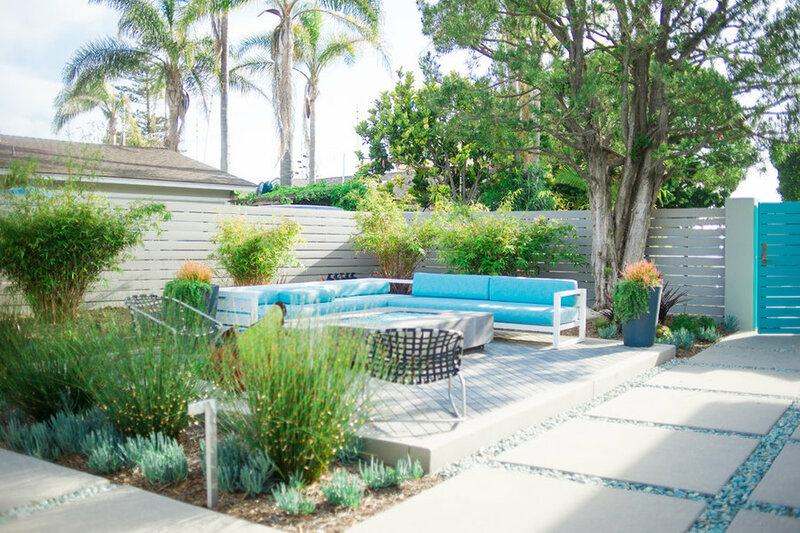 All the property fencing was updated in modern light gray, horizontal slat fencing. 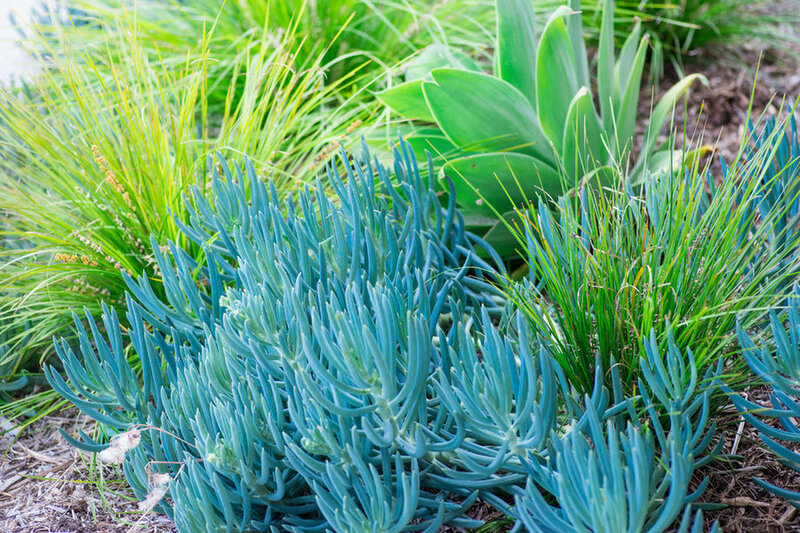 New plantings used vibrant oranges, yellows, lime green, blues and whites. 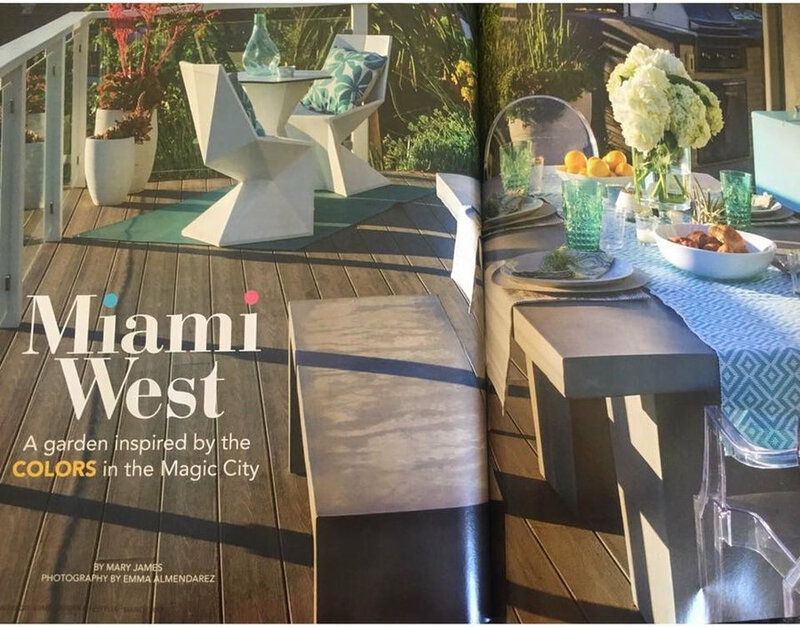 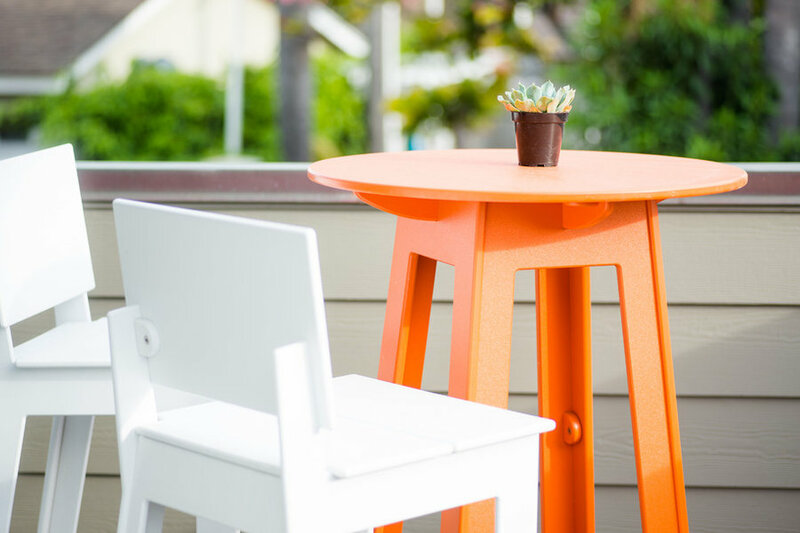 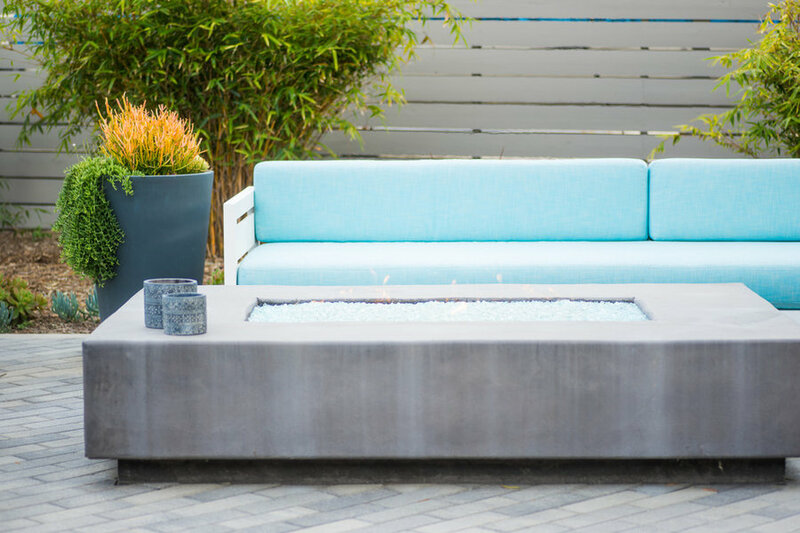 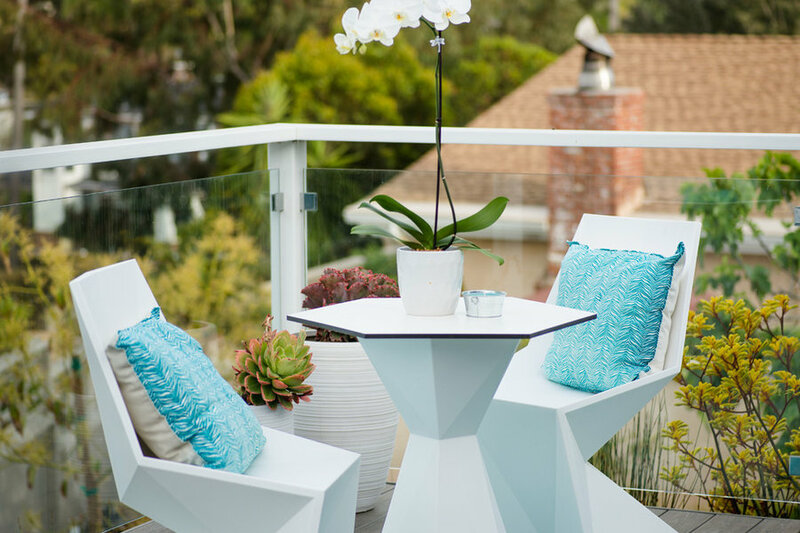 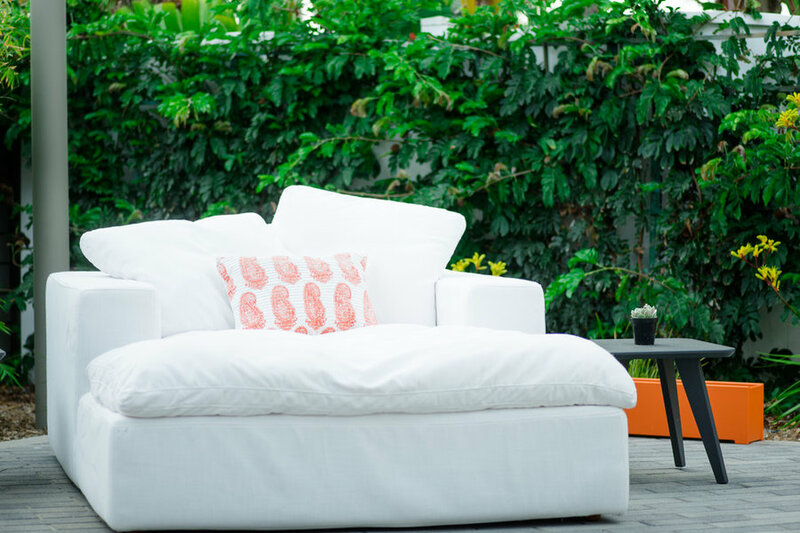 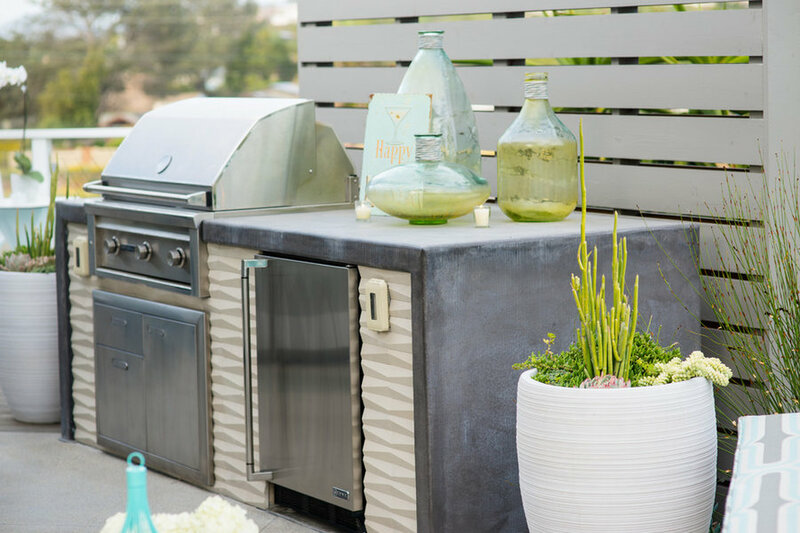 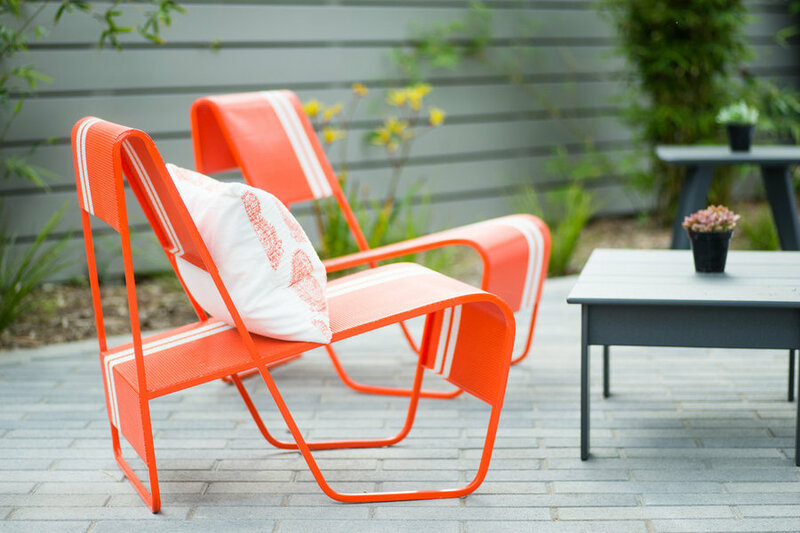 Modern furniture made from recycled plastic, in grays and whites, accented the deck. 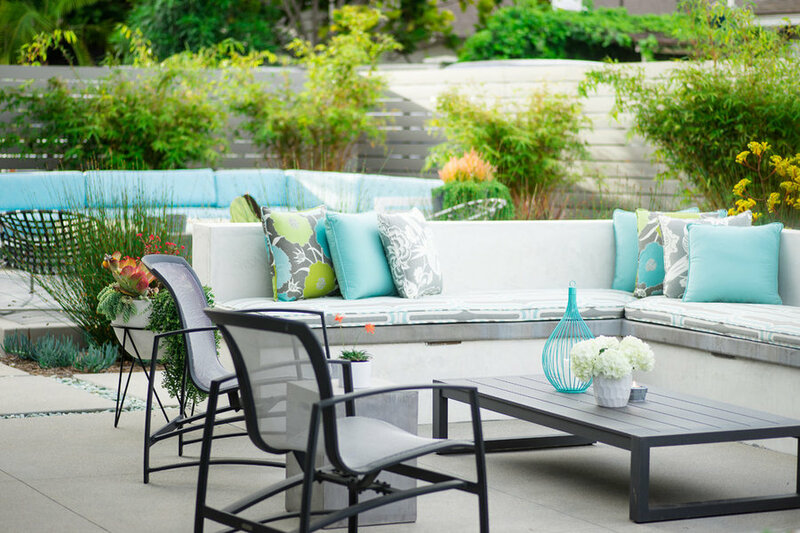 Custom cushions and pillows in grays, blues, yellows, and white on the built-in bench seating, tie into the color scheme. 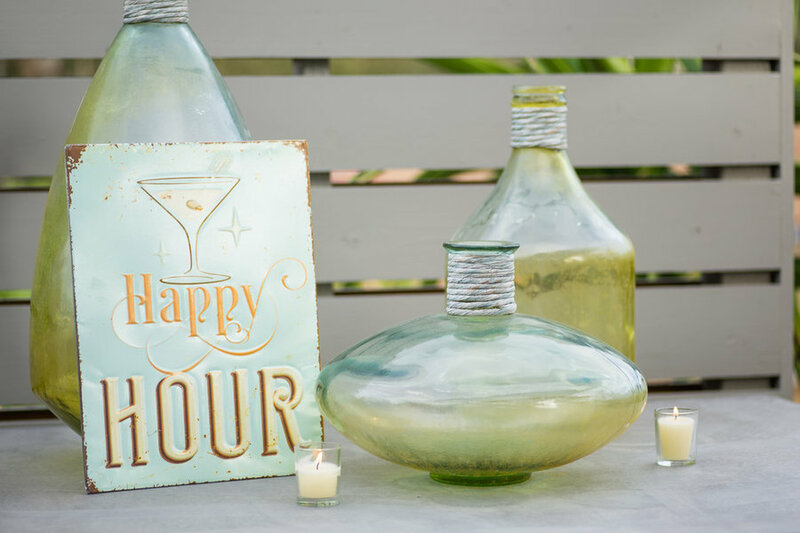 Photography by Leigh Castelli Photography. 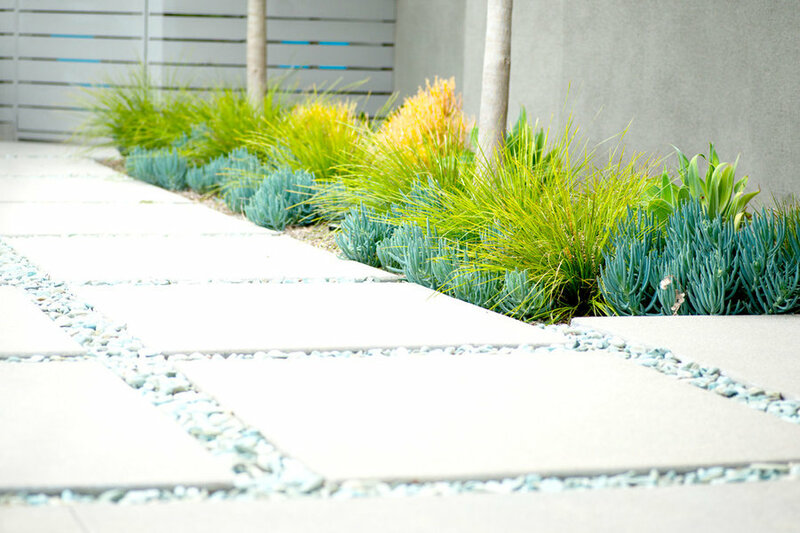 Landscape installed by Mike Walterhouse and Turner Landscape Construction.